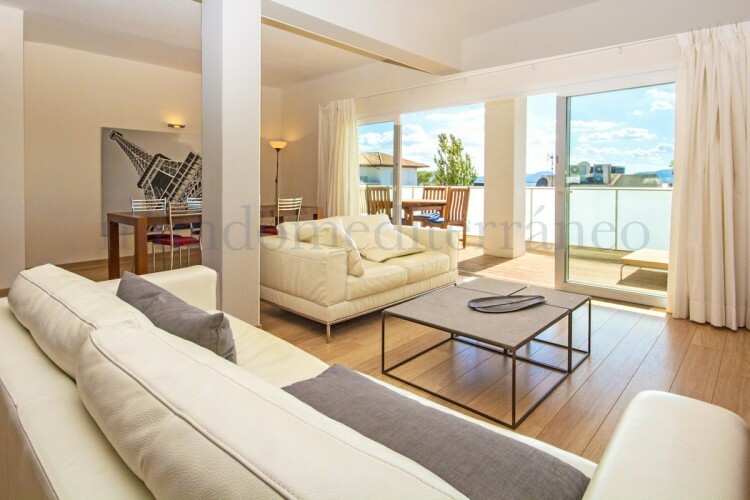 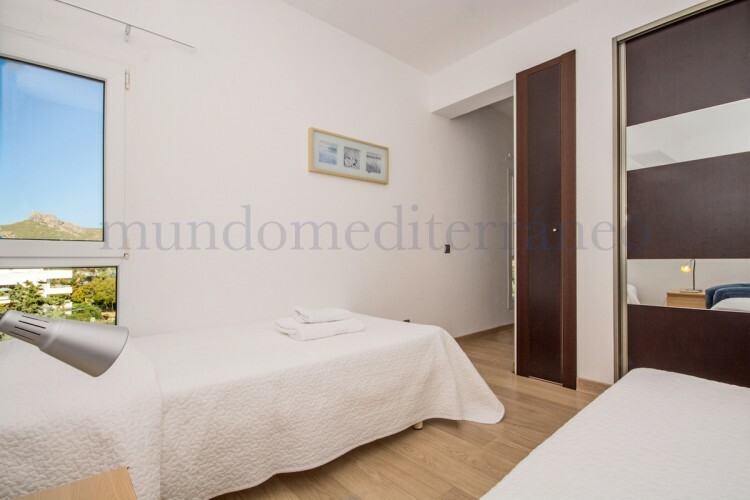 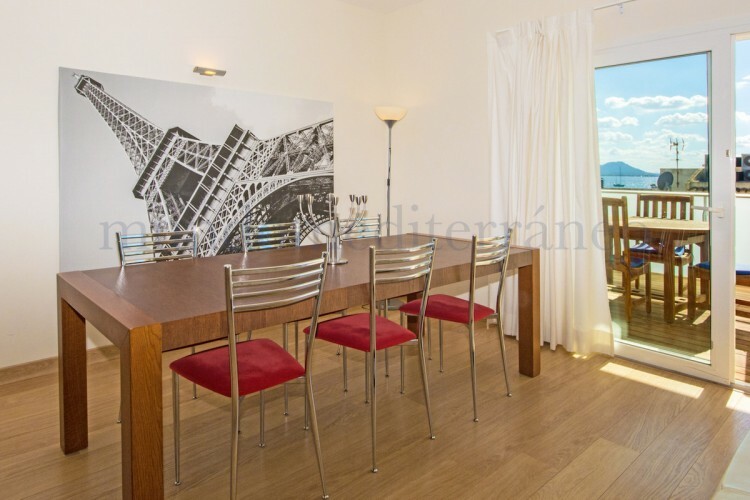 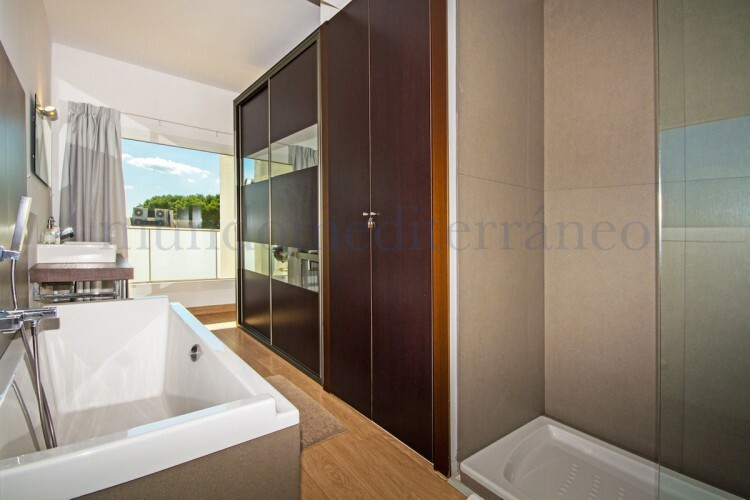 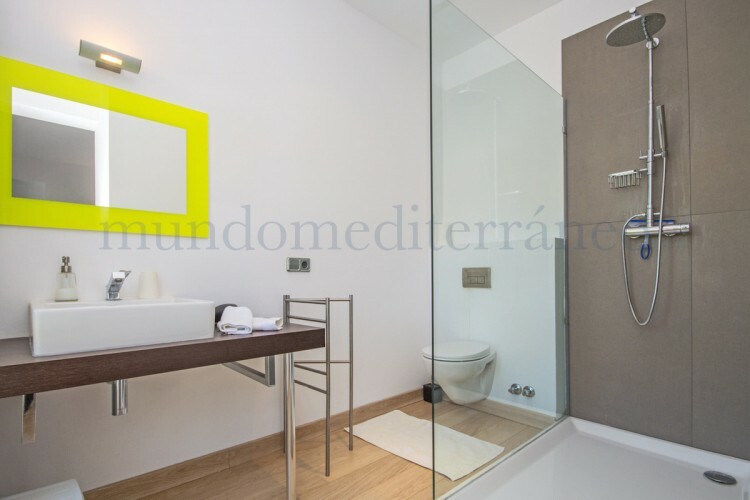 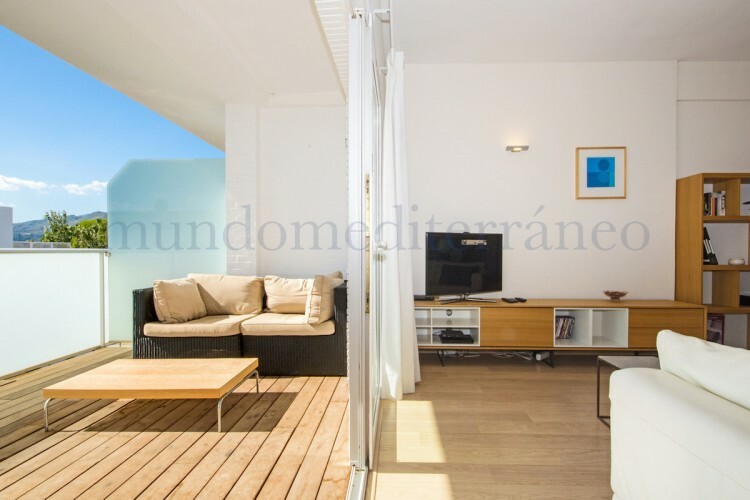 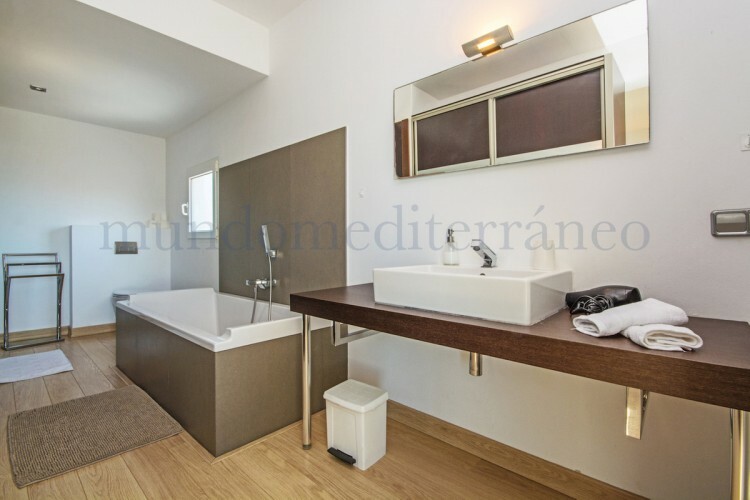 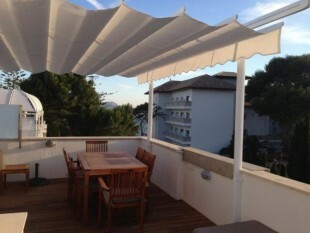 Very spacious modern penthouse WITH TURISTIC RENTAL LICENCE which can be found just off of the Pine walk, at the back of the Illa d`Or Hotel. 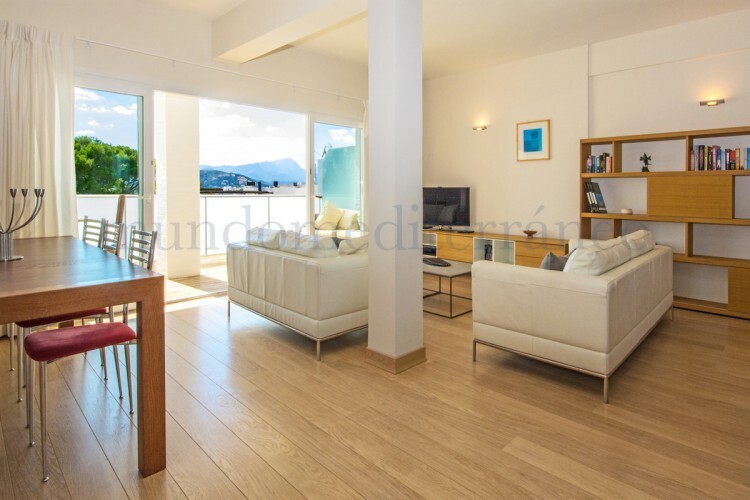 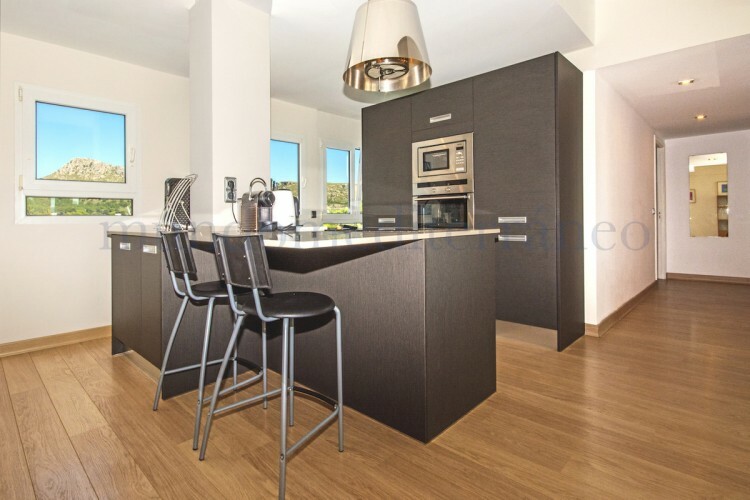 Situated in one of the well sought after areas in Puerto Pollensa, at the North of the island, this apartment has undergone a thorough renovation and presents now a very modern aspect. 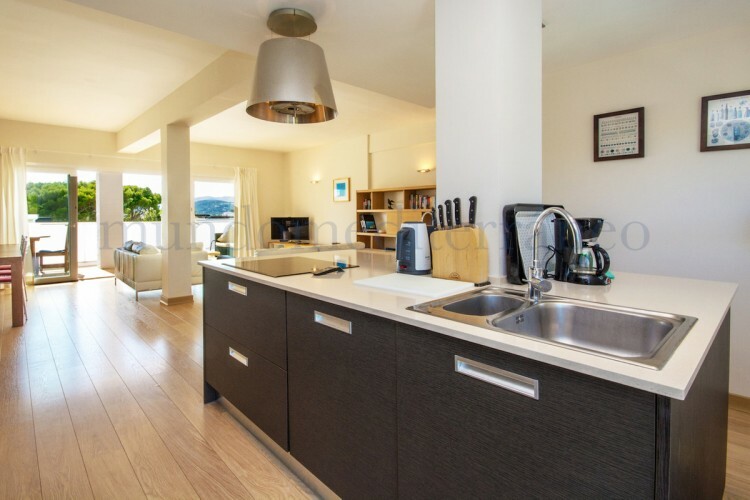 The amazing property consists in 2 ample bedrooms, 2 bathrooms, open modern fully fitted kitchen with an isle and all the appliances, utility room and a guest toilet. 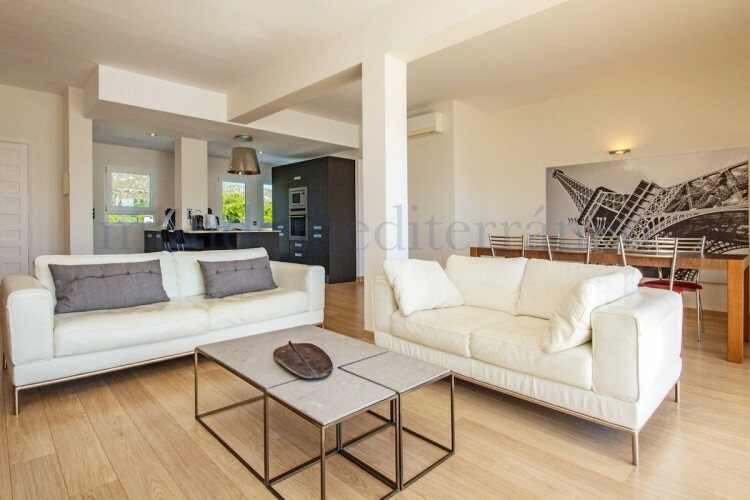 This fabulous penthouse is completely furnished with new design furniture. 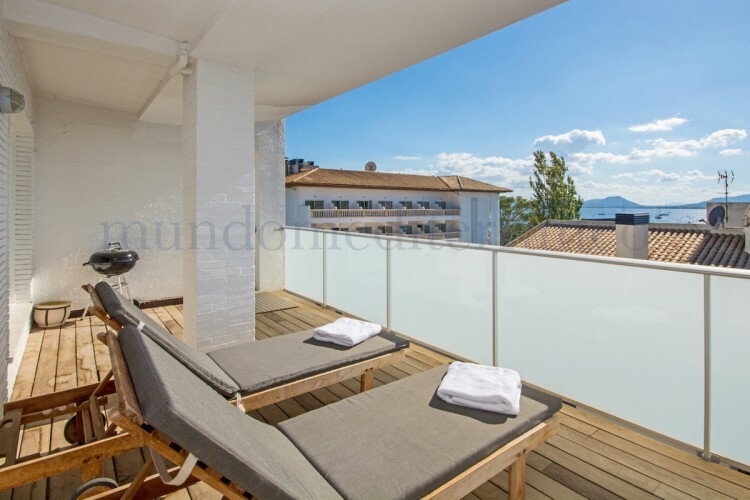 The main bedroom and the lounge have access to a very large porch (38m2) enjoying panoramic views to the sea and to the mountains. 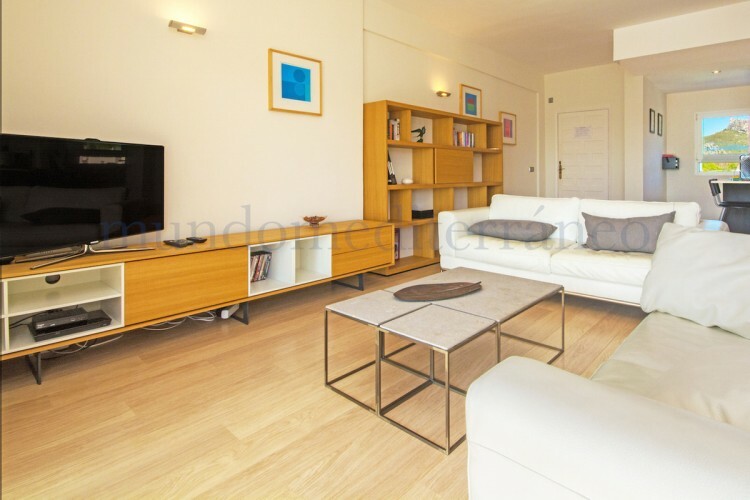 Furnished sold. 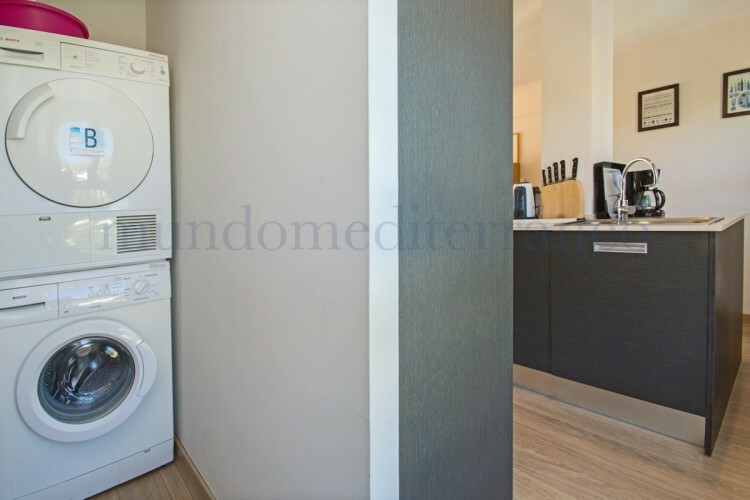 The building also enjoys a lift. 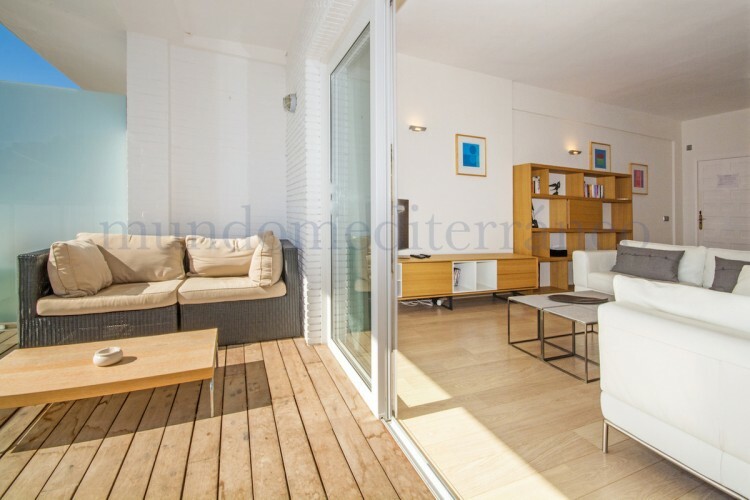 South faced and in excellent condition, its special features are air-conditioning, an ample private terrace, en-suite bathroom, fully fitted modern kitchen, a large communal pool and garden. 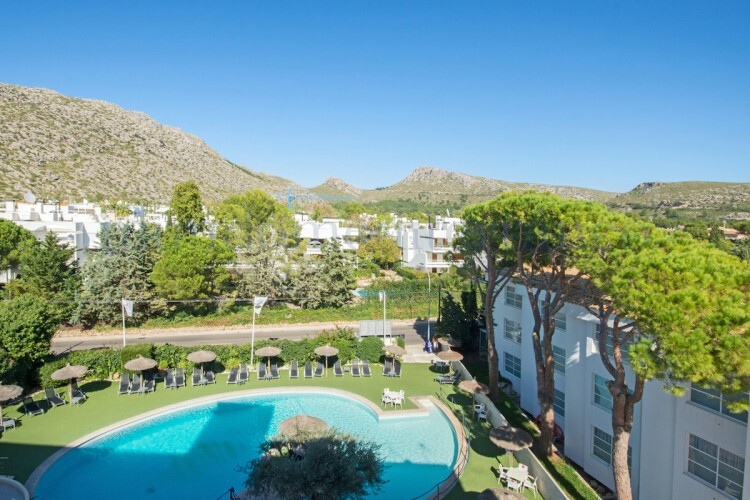 Puerto Pollensa is one of the most popular beach resorts in the North of the island with a sense of timeless charm, and offers great activities, beautiful beaches, such as the well known beach of Formentor, a wide range of bars and restaurants. 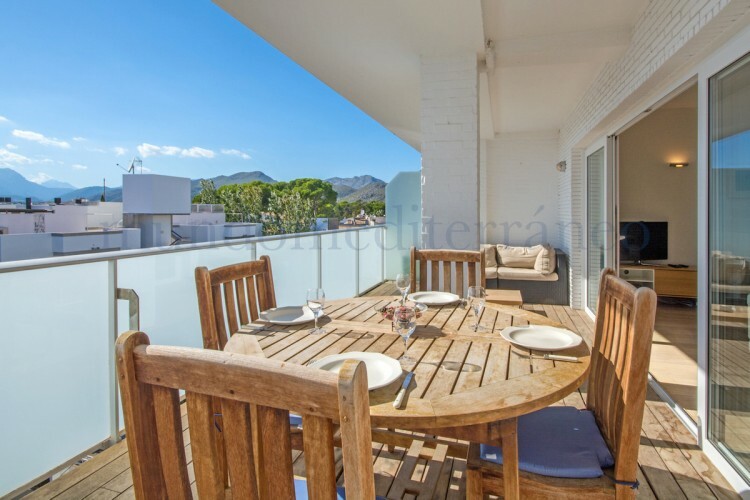 A must is the nearby Pollensa old town offering enchanting surrounding areas, great restaurants and the two very well known outstanding golf courses, the 9-hole Golf Pollensa and one of the best 18-hole courses, which is Golf Alcanada near Alcudia, considered one the finest courses in Europe. 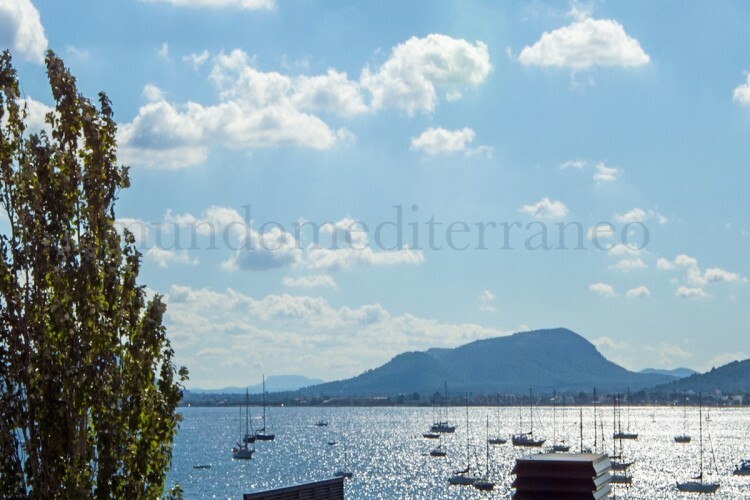 Away from the port, you'll discover a rugged wilderness of great natural beauty. The Tramuntana mountains, the neighbouring Cala Sant Vicenc, a beautiful secluded resort village with a splendid beach. 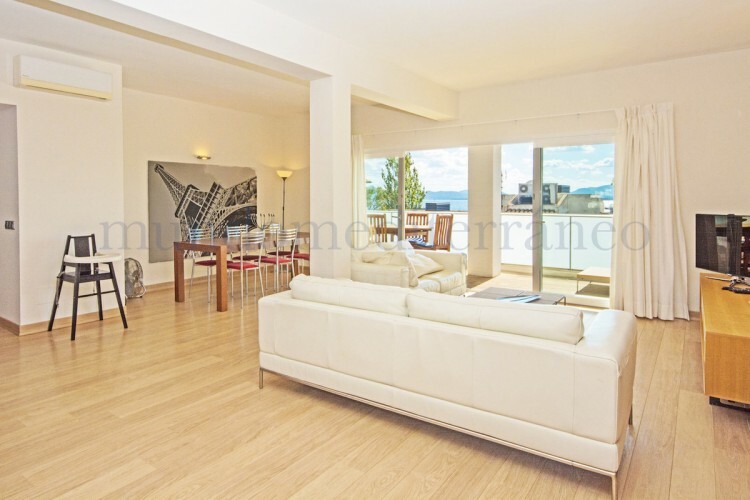 Due to the excellent infrastructure, Palma, the cosmopolitan capital, is within easy reach (45 min). 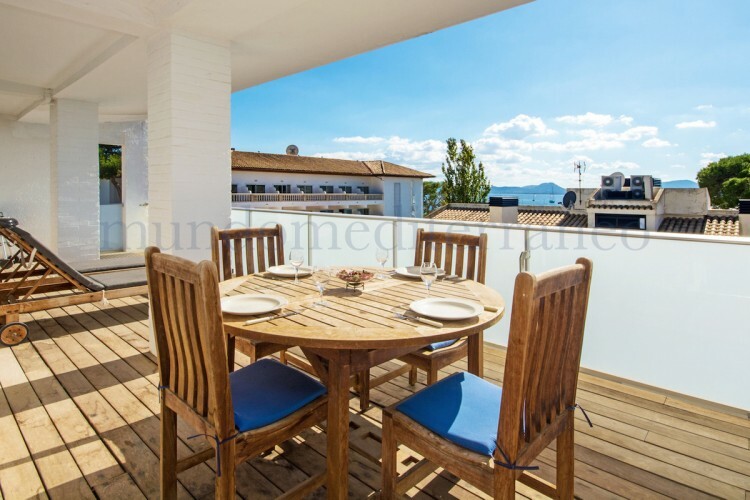 The island's capital offers a wide range of luxury brands' shopping and gourmet restaurants.